Iyashi Scalar Energy Pendants are the only full spectrum pendants combining proprietary Biometric Frequency Infusion Technology (B.F.I.T.) 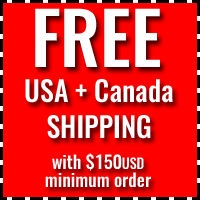 with the traditional benefits of a regular scalar energy pendant. B.F.I.T. is the secret behind our pendants ability to access the quantum scalar energy field to align your energetic systems. Iyashi Pendants help to realign all your body's energetic systems including; harmonizing your bio-field, protecting from EMFs, aligning chakras, clearing energy blockages and much more. Iyashi Negative Ion Scalar Energy Pendants – These scalar pendants our are newest model which are complete with infusion via B.F.I.T., containing over 18000+ infused beneficial vibrational frequencies, and concentrated Iyashi Ceramics creating a very powerful stream of negative ions of over 4000+ per minute. Iyashi Classic Scalar Energy Pendants – The classic scalar energy pendants also are infused via BFIT providing the same 18000+ beneficial vibrational frequencies but are made of solid Iyashi Ceramics which produce approximately 1500+ negative ions per minute. Iyashi Crystal Scalar Energy Pendants are made of natural crystals which are infused with Biometric Frequency Infusion Technology (B.F.I.T.). B.F.I.T. infuses a full spectrum of over 18000+ beneficial vibrational frequencies which enhance and brings out the crystals natural energies making those the most predominant. Iyashi Crystal Scalar Energy Pendants come in 16 different types to provide a wide variety of specialized energy signatures to meet your unique needs..
Our two series of Iyashi Scalar Energy Pendants combine the following different technologies. Technologies used in the Iyashi Scalar Pendants: Iyashi Ceramics + Biometric Frequency Infusion Technology. Technologies used in the Crystal Series Iyashi Pendants: Natural Crystals + Biometric Frequency Infusion Technology. Iyashi Ceramics is the material in our negative ion & classic series of scalar pendants. The Iyashi Ceramics are crushed into a concentrated powdered and put inside the metal casing of the pendant. Iyashi Ceramics start by using a selection of crystals and crystalline minerals. These are taken and heated to 3000F degrees until they reach a liquid state and then are cooled. This process of heating and cooling is repeated 9 times. This is considered a “Fusion” process as all the different crystals are fused together into a ceramic material. This creates the material we use which is either hardened into a mold of our pendant or inserted inside a metal casing. By repeating the process 9 times it creates a higher quality even distribution of the different crystals. This material carries many of the properties of the original crystals and other minerals used including. Natural vibrational frequencies of the crystals used. Negative ions act like anti-oxidants in the air providing free electrons to us. They stop free radicals damage and leave you feeling rejuvenated. Negative ions can be produced by a variety of different methods. The negative ions from the Iyashi Pendant are generated by Piezoelectric Currents which occur in the materials we use. 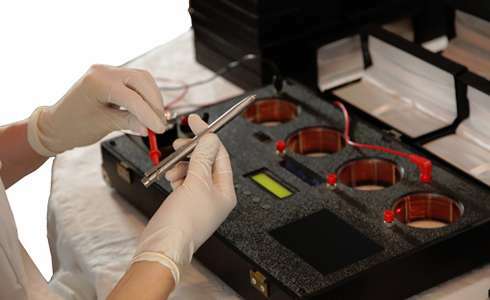 Piezoelectric currents come from certain crystals and ceramics; they produce tiny electrical charges which release excess electrons which are our negative ions. This provides a bountiful and never-ending supply of negative ions. The Negative Ionic output varies per pendant (larger pendants having a higher output) but on average the ionic output of Iyashi Pendants is 4000+ negative ions per minute and 1500+ negative ions per minutes in the Classic Iyashi Pendants. By keeping the pendant close to your skin you can receive the most benefits. We use a variety of different crystals in our new series of Iyashi Crystal Scalar Energy Pendants. Each of these crystals has their own unique subtle energy based on the composition of the crystal. Most crystals are “quartz” based but vary depending on the combinations of different elements and minerals that are present. Crystals have been used for thousands of years as subtle energy tools due to their innate properties. Each crystal carries its own select set of vibrational frequencies, this is the natural scalar energy found in the crystal. When we infuse the crystals with our full spectrum of frequencies there is overlapping in the infused frequencies and the natural vibrational frequencies found in the crystal. Our full spectrum infusion is based on natural frequencies to being with, so naturally it will contain some of the same vibrational frequencies originally found in the crystals. The full spectrum infusion process helps amplify the already existing energies making them more dominant. This leaves the crystal still retaining is natural healing properties but also having the benefits of the underling full spectrum infusion process. 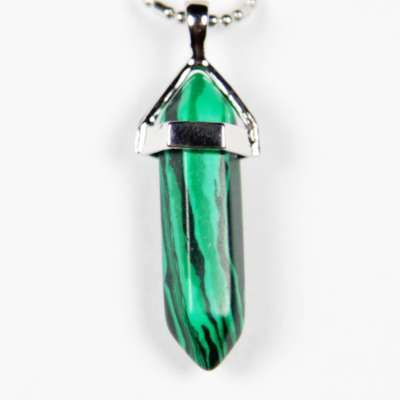 You now have the choice of a unique Iyashi Scalar Energy Pendant while still receiving the benefits of the full spectrum infusion. Biometric Frequency Infusion Technology, abbreviated as B.F.I.T., is a method in which we infuse subtle energy patterns (This is the Scalar Energy also known as vibrational frequencies) into the pendant. A vibrational frequency is similar to the energy that comes from a crystal. What BFIT does is infuse over 18000+ benefits frequencies into the pendant making it more powerful the just a single crystal alone. Everything and everyone carries a vibrational frequency and when we are sick or in pain our vibrational frequency lowers, when we introduce the correct frequency to the body it will raise up to the correct level which allows the body to naturally heal itself. This is how the Iyashi Pendant works as it carries over 18000+ beneficial healing frequencies that fully cover all aspects of the body rather than just a small spectrum of healing frequencies. BFIT, a quantum infusion technology, is the key behind the many years of success of all Iyashi products. Iyashi's BFIT process (which stands for “Biometric Frequency Infusion Technology) involves each Iyashi Pendant going through an individual infusing process. 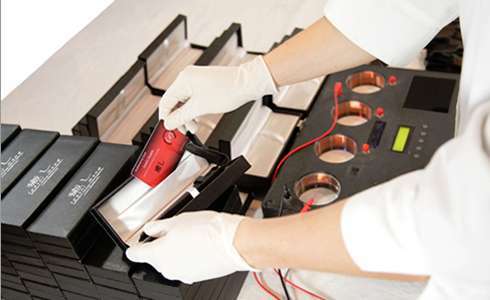 A trained Vibrascan technician then tests each bracelet individually to ensure the energetic patterns have been properly infused, and the ionic output is precise. The Iyashi Pendant is the only scalar bracelet to bring your zero-point energy field back into phase lock. It is ideal to always keep your energy field connected to the zero point field. You are born connected (phase-locked) to the zero point field and it is through accident, emotional upsets, or aggressive energetic interventions into your field that the connection is disturbed or broken in an area of your energetic field. Using BFIT infused energy products will help harmonize your innate connection to source, instructing your innate wisdom how to harmonize your bio-field. The vibrational frequencies are essentially the type of scalar energy infused in the pendants. Scalar energy refers to any frequency of energy which is carried through scalar waves. Our BFIT imprints these 18000+ frequencies on the scalar energy level. Scalar energy emits a field of its frequency that will fill the surrounding environment. When it passes through solid objects like yourself you pick up on that energy. When your body picks up this energy it raises it to the correct vibrational frequency realigning your bio-field. Since the scalar energy infused is a vibration it lasts forever and never depletes. 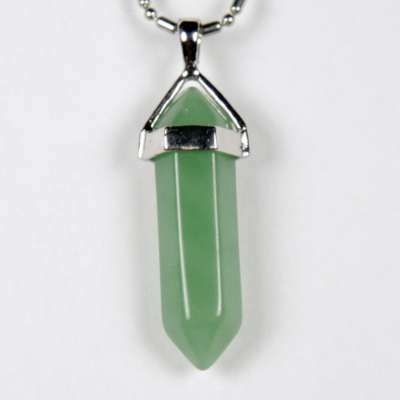 It is important that the correct scalar energy patterns are infused in the pendant. This is what makes the Iyashi Pendants so unique is they are the only ones to carry a full spectrum of these vibrational frequencies. Since scalar energy falls under the principles of quantum physics we can hold thousands of different vibrational frequencies simultaneously. 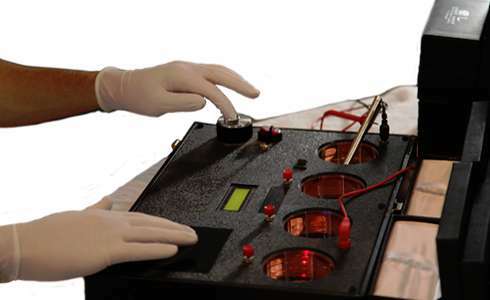 Vibration Frequencies can be measured in Hetz (Hz). You may be familiar with the Shuman Resonance which is 7.83Hz. This is just one scalar energy frequency that can be carried. With our Full Spectrum Infusion we carry a complete range of these frequencies in all the different intervals as each individual frequency as a specific impact on a certain area in our body. Picking the between the Iyashi Negative Ion and Classic Pendants is quite simple as the main differences are in your design preference and the new Iyashi Negative Ion series has a much more powerful negative ionic output. The Classic Iyashi Scalar Energy Pendants are still a great option to receive all the same benefits with a little lower negative ionic output. All Iyashi products are designed to work synergistically together so you can combine the different Iyashi Pendants together if you would like to receive the benefits of both. The Iyashi Negative Ion and Classic Scalar Pendants are most often combined with the Crystal Scalar Energy Pendants. 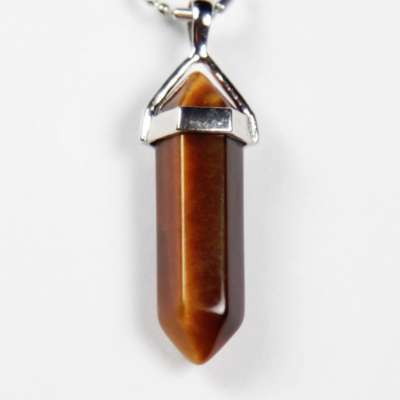 This allows you to receive the benefits of the unique crystal energy and the negative ions. If you are looking for EMF protection we suggest combining the Iyashi Negative Ion or Classic Scalar Pendants with Shieldite. This combination will provide the best overall personal protection from EMF’s or any other types of electromagnetic radiation. All the different crystals have their own natural traits which is the most present energy found in them. While all crystals can be used for great overall well-being, work on all the chakras, and can be worn with any other pendants the chart below lists the areas they are strongest in. Main traits are the main keywords used to describe the natural intrinsic energy of the crystal. Each crystal might have a wider spectrum of energy but these main traits help you differentiate their features. The chakra or chakras listed are the primary and secondary chakras the crystals are most compatible with. These are the main chakras that correspond with the strongest energy the crystal has but they can be used on other chakras. The best compatible crystals are the other crystals they work with synergistically. These are the crystals that amplify each other to receive maximum benefits. You can use any combination of crystals together but should first use them separately to get used to their individual energy before using them together. The best compatible crystals can immediately be used together. Zodiac symbols can give you insight into your personality and traits. Each of the crystal’s properties are slightly more compatible with certain personality types. Seeing the zodiac compatibility can help give you some guidance as to what crystal may be a good choice. 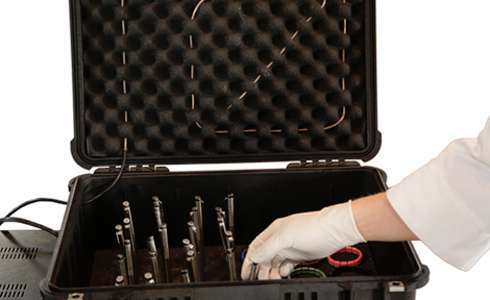 Each Pendant is individually VibraScan 1100 tested. Authenticity card acts as a “scalar energy card” and has been embedded with negative ions. Ideal for unique and specific subtle energy patterns. Released one of the first scalar pendants based around negative ions. Infused with AMized fusion Technology. A pendant anyone can make. The combination of materials harmonizes negative energy. Iyashi Pendants provide superior performance while still being more affordable then other popular scalar energy pendants! What is the difference between all these Scalar Energy Pendant? It can get confusing with all these different scalar energy pendants deciding which one suits you and what the pendant actually does. While we have worked to design the best overall pendant with could with the Iyashi Pendant it is important to understand the differences in technology and the other merits these other pendants hold. These two technologies get mixed up a lot but they are very different. 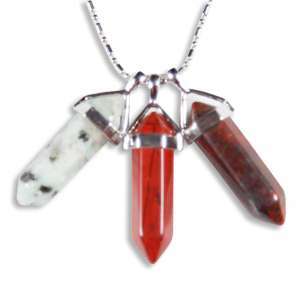 An Infusion Technology is a method of infusing subtle energy patterns into a finished pendant or crystal. This is done on a vibrational frequency level. You will not find this type of technology in any generic scalar pendants. Like Iyashi other major companies have developed their own infusion technology but not all of them have. Fusion Technology refers to when the pendant is made from a mold through heating the crystals or other minerals to a liquid and cooling them, this process usually actives the negative ionic output in the pendant. This is a similar process that happens with the Iyashi Pendant, Fusion Excel pendant and similar looking knockoffs. Crystal pendants like the tachyon pendants, Eamega pendants and Orgonite do not go through this process. You will notice that the Iyashi Pendant is the only pendant that carries both these properties of having a subtle energy infusion (BFIT) and goes through a fusion process creating a negative ionic pendant. Traditionally companies with subtle energy infusion technology used only crystals and in contrast the pendants like the Fusion Excel Quantum Pendant were only based on negative ions. Iyashi Pendants: Through the combination of Biometric Frequency Infusion Technology and powerful negative ions Iyashi Pedants provides the best combination of healing technologies to impact your well-being. Iyashi Pendants are designed for everyone with multiple different types to choose from. They can help strengthen your bio field and protect from EMFs simultaneously while giving you all the other benefits expected from a scalar energy pendant. Other Quantum Science Pendants: These are all knock offs of the Fusion Excel Pendants which are made in China. Some have good negative ionic outputs some have very poor negative ionic outputs. Overall they are made from lower quality materials but are usually quite cheap and found on ebay and amazon and some other smaller retailers. Eamega Pendant: These contain quartz crystals contained in a metal case which have been infused with their AMized Fusion Technology (AFT). While these pendants do carry their own unique infusion technology they do not have any negative ions. From the tests we have done their infusion has a very small spectrum of infused frequencies which resonate with some people but not all. Tachyon Pendants: There are many Tachyon products they are all infused with the same Tachyon Energy. This is a unique subtle energy infusion they use on mainly crystal based products. From our tests the infusion is a unique energy pattern that is strong. Some people resonate with this vibrational frequency while others do not. Orgon Pendant: This type of pendant is based on principles of orgon energy which essentially harmonizes negative energy into positive energy. These pendants are made with crystals, resin and metal shavings. The combinational of the resin (organic material) and metal shavings (inorganic material) attract ambient “dead” energy and the crystal re-energizes into positive energy. The effectiveness is largely based on how powerful the crystal you use and the correct ratio mix of the other 2 components. You could actually use material from our Iyashi Pendants or other products in place of the crystal and create a very powerful Orgonite pendant. EarthCalm: Earthcalm pendants are based on natural healing crystals and the natural harmonizing effects of certain geometric shapes which they call “circuits”. Certain geometric shapes do impact energy and sometimes can smooth it out harmonizing it, which is very popular with pyramids etc. While using these geometric shapes or “circuits” in their pendants can enhance the power of a natural crystal we do not think it justifies their almost $300 price tag. You can find other crystal pendants in these shapes for $20-$30 if you are interested in having a crystal pendant. What is an SE pendant? Sometimes people confuse a SE pendant with a specific brand but SE simply stands for Scalar Energy. So a “SE Pendant” is a “Scalar Energy Pendant” which can refer to any type of scalar energy pendant. I got hit by a bat on Saturday across the nose. A five stitch cut and a fracture. During this whole time I was pain free. I mean ZERO pain . I was wearing my iyashi pendant.WOW. No swelling and no black and blue eyes. GREAT PENDANT. This event happened on Saturday and I am still wearing the pendant and STILL have ZERO pain. I feel the Dr. could have applied the five stitches to my nose without numbing the wound. I am not Superman, but , I felt that way with the strength and courage I had on Saturday. Oh, I didn't mention I have Panic Disorder. I was so calm. Thanks for this wonderful pendant. 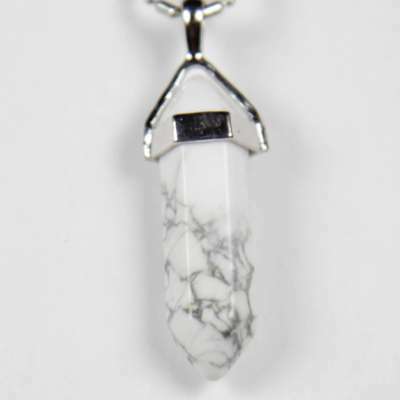 I love my pendant, it works great for clearing negative energies, and now I am moving into my new home next week thanks to the help of this wonderful pendant, and I am kind of new to this type of technology, but I think it is awesome, keep it up guys. My girlfriend belonged to an expensive dating service. She was disappointed in the dates she met. At 66 she thought she was not pretty enough to attract the right man. After she started to wearing Iyashi pendant she had so many dates with “good possibilities” she had difficulty juggling them. It was a delight to see that her self-confidence in her desirability turn positive. She has now been seeing one of those dates for the last 6 months and she tells us that she has never had a relationship that was so romantic and thoughtful. Last week he told her that she was the prettiest lady at the Opera. When I wear the Iyashi Pendant I notice that it protects me from negative projections of other people. I feel encased in a positive energy field. The first time I wore I was dreading this meeting this very confrontational person. The meeting went great and the person actually apologized to me! After a while I felt the pendant was not working like it did in the beginning but when I followed the instructions on grounding, it was as good as new. Since wearing the pendant for months now I noticed that my life is getting easier and my relationship have improved. I still use it more than the wand, by taping it to problem sites and keeping it there over night. Thank you so much! It was helping me sleep about an extra hour everyday and I've missed that the last few days...you may keep the chain...I have one that's pretty indestructible...again...thanks so much...you guys are wonderful! Yes, every pendant is infused with a full spectrum of beneficial vibrational frequencies using our proprietary BioMetric Frequency Infusion Technology. What Is The Difference Between The Pendants? The Iyashi Negative Ion Scalar Energy Pendant has the general full spectrum of beneficial vibrational frequencies and additional generates over 4000+ negative ions per minute. The Classic Iyashi Negative Ion Scalar Energy Pendants have the general full spectrum of beneficial vibrational frequencies and additional generates over 1500+ negative ions per minute. 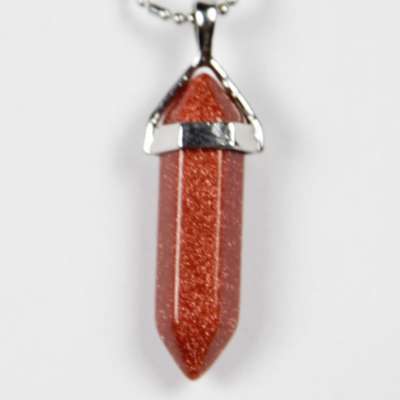 The Iyashi Crystal Scalar Energy Pendants do not generate negative ions but each different crystal has a unique vibrational frequency. 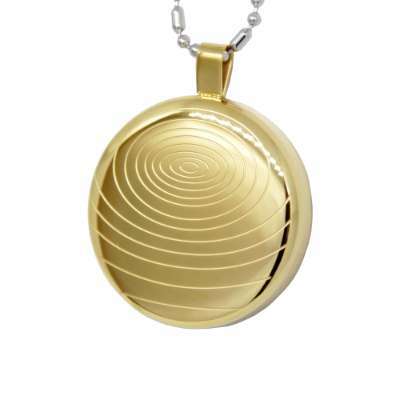 Do The Iyashi Pendants Protect From EMFs? The Iyashi Negative Ion & Classic Scalar Energy Pendants will provide moderate EMF protection similar or better than other scalar pendants. 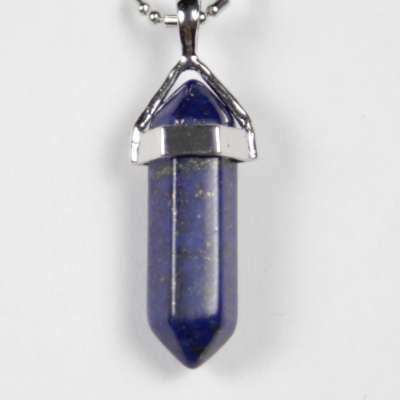 For the best EMF protection we suggest using Shieldite in conjunction with the Iyashi Pendant. 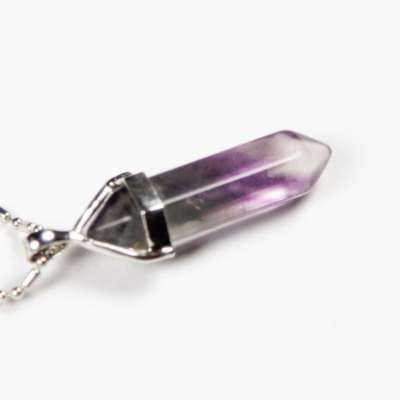 The Iyashi Crystal Scalar Energy Pendants provide minimal EMF protection. Do I need to ground the Iyashi Pendants? No the Iyashi Negative Ion and Classic Iyashi Scalar Energy Pendants do not need to be grounded. The Iyashi Crystal scalar energy pendants do need to be cleansed periodically, the instructions for this are found under are Guides and Manuals section. What makes the Iyashi Pendant different than the Iyashi wand? The Iyashi Pendants are designed to be used passively for general benefits where the Iyashi Wand is designed to be actively used to target specific areas with more energy. How long will the Iyashi pendant take to work? Some people may notice results instantly, while some may take hours or days before they notice the effects the pendant is having on them. This is because everyone’s condition is different and the Iyashi pendants work on a person’s entire bio-field balancing it. If your energy is really blocked it may take a while to work. Patience is required to give the pendant enough time to break up enough of the blockages for you to feel better. I can’t feel anything when I hold the pendant. Is it faulty? No, the pendant is not faulty. Every pendant is tested and certified to work before it leaves our testing facility. As the pendants are more passive we recommend you wear them for at least a week to see the changes in your life. Subtle energy isn’t always something you notice as it can gradually take effect over time but what can be noticeable is when you remove it from your energy field. Why doesn’t the Iyashi Pendants energy feel as strong after using it for several months? After wearing any of the Iyashi Scalar Energy Pendants for a period of time you will become accustomed to the feel of the energy and it won’t feel different after a period of time. This is similar to going into a hot bath where the water feels very hot when first going in but after a while feels like a normal temperature. How long will my Iyashi Pendant last? Your Iyashi pendant should last a life time as long as you properly care for it. This includes cleansing the crystal pendants regularly and damaging it by dropping it etc. Can I give my Iyashi Pendant to anyone to use. We recommend only you use your Iyashi Pendant. Sharing energetic instruments, especially crystals, is not always a good idea as they take on their users’ energy. If you do, make sure to cleanse the crystal afterwards.